… Jack walked out of the barn carrying a lantern and the snow eddied around him in the circle of light. He turned his head, as if he had sensed her eyes on him, and the two of them looked at each other across the distance, each in their pocket of light, snow failing like a veil between them. Mabel couldn’t remember the last time they had so deliberately gazed at each other, and the moment was like the snow, slow and drifting. However, as that first snow of their second full winter settles in the yard about their log cabin, they find a moment of levity and decide to build a snowman, although, once dressed in mittens and scarf, the creation is more child than man. Jack carves a little face and they have made themselves a snow girl. Awakening from his sleep that night Jack sees what he thinks is a girl in the woods but, thinking he’s seeing things, he goes back to bed. The next morning they wake to find the snow girl gone, including all her clothes. Little footprints lead away from the place she stood, but none lead to it. Thus begins the mystery of the snow girl, coming and going as she pleases with her red fox companion. She favours the cold outside air rather than the warm cabin. The girl leads Jack to the moose that will feed him and Mabel for the winter. She is the child they always wanted. But is she real or a dream, some form of “cabin fever” that is known to grip the minds of those souls waiting out the long, dark winters? Into the picture arrives the no-nonsense Esther Benson and her husband George, two established farmers and ‘neighbours’, though there’s a good distance between the respective farms. They have three sons, including Garret, their youngest, who helps Jack and Mabel with the farming in the spring and summer, and goes out trapping in the winter. Only Jack and Mabel see the girl though, who calls herself Faina, and who comes each winter and disappears each spring. When Mabel tells Esther about her, Esther thinks her friend’s gone mad. She says to Mabel: “You start seeing things that you’re afraid of … or things you’ve always wished for.” Making matters worse, Jack won’t back Mabel up. Despite this they ask Garret to promise not to kill any red foxes. It’s only years later, after Jack and Mabel survive all manner of mishap and challenge with the help of Garret, that Garret sees Faina, now a young woman. How will his interest in her alter the balance of things? And what will she make of the fact that he had, in the end, killed her fox? You don’t have to be frightened of him. He doesn’t mean you any harm. She set the fish in the snow and washed the blood from her hands. There’s an ominous portent in this exchange, those words ‘harm’ and ‘blood’ shot through with meaning even as he tried to calm her fears. Adding another level of intrigue is Mabel’s memory of how she used to conure fairies in her garden as a girl, and, more troublingly, the fairy tale her father used to tell her, about a girl made from snow who is born to a childless couple in exactly the same way as Faina seems to have been born to them — a story that doesn’t end well. I love stories merging the magical and real. And I’ve been reading so many classics and historical fiction of late that it was a joy to get back to some magical realism. 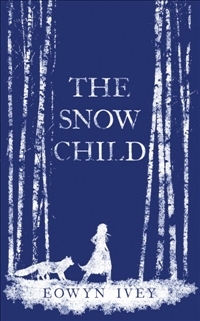 Based on an old fairy tale by Arthur Ransome, called Little Daughter of the Snow, which is re-printed at the end of the book, The Snow Child is pure storytelling. Ivey lives in Alaska and it shows in every description of the hard winters and light-filled summers. There is a simple lyricism in her prose, reminiscent of fairy tales, which is captivating. There is a real honesty in the way events are depicted, including the killing and gutting of wild animals, the risky venturing into wilderness, the hardships of the farm. There are some curious things, though. First is the introduction of a Garret as a third point-of-view (POV) around two-thirds of the way through the novel. This would ordinarily be a no-no but it because of where the plot is heading there seems little choice to include him. Just as curious is the way his POV leaves the story as we return to just Jack and Mabel’s POV toward the end. There is so much good story pulling us along that I barely noticed the slight lack of depth to the thematic treatment of grief, the longing for family, and how much love is enough. The ending is perhaps ever so slightly less controlled than the rest of the novel in this regard. 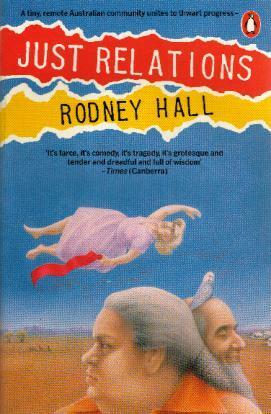 Maybe that’s why The Snow Child didn’t make the 2012 Orange Prize longlist, though I, like The Guardian’s Robert McCrum, in his commentary on the strength of the Orange longlist, would have liked to see Ivey get a nod. 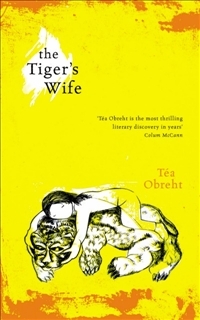 (McCrum adds Kate Grenville latest, Sarah Thornhill to the list of overlooked novels.) All in all, the quibbles are minor, especially for such a sparkling debut. 404 pages, & Arthur Ransome’s Fairy Tale, Little Daughter of the Snow, 11 pages. Years later, when [Florentino] tried to remember what the maiden idealized by the alchemy of poetry really was like, he could not distinguish her from the heart-rending twilights of those times. Even when he observed her, unseen, during those days of longing when he waited for a reply to his first letter, he saw her transfigured in the afternoon shimmer oftwo o’clockin a shower of blossoms from the almond trees where it was always April regardless of the season of the year. The above passage tells you all you need to know about Marquez’s lyricism. There is a sense of the magical everywhere, from winds so strong they carry away small children, to dolls at the ends of beds that seem to grow as a child would. Unfortunately for Florentino, those almond blossoms are indeed the very factory of unrequited love, for Fermina rejects his amorous advances and settles instead for Dr Urbino. Not to be deterred, Florentino decides to ‘wait’ for Fermina, to prove his love was real. Of course, his ‘wait’ is quite idiosyncratic – he proceeds to engage in love affairs with some 622 woman over many years, some more involved than others. It is during these long decades that we see a different side of Florentino’s obsessive love, for some of his (many) trysts have perverse and tragic outcomes: there are women who love him but know that he is unobtainable, there is one who is killed by her husband after he finds out the truth of her affair, and there is the fourteen year old girl, America, who is placed in his care as his ward, and whom he seduces into a relationship which ends with predictably harrowing results. There is also the realisation that the Riverboat Company that he has run for most of his adult years has destroyed the luxuriant rainforest along the river. And yet, despite these very human frailties and the collateral damage they cause, we want Florentino to win, to get his girl. Meanwhile, life has dealt Fermina some of her own lessons. She realises, only after Juvenal’s death, that he conducted an affair during their marriage, and was not really the man he seemed at first to be. So we see love in all its guises and disguises. We see, also, one of the great ideas of the novel: the celebration of ageing and how love can conquer time. Of course, the other side of the word ‘cholera’ is ‘choler’, being “anger; irritability”. So while we have the over-arching love theme set against the backdrop of the cholera epidemics that sweep through the townships along the Magdalena River, we also have a darker side, expressed in the never-ending civil war, and there are times when victims of one are confused with victims of the other. It is one of Dr Urbino’s goals to improve the sanitation of the city and townships and rid the country of the recurrent epidemics. Few other authors can match Marquez for the evocative depiction of setting, in this case a tropical city on theMagdalenaRiverinColumbia. In summer an invisible dust as harsh as red-hot chalk was blown into even the best-protected corners of the imagination by mad winds that took the roofs off the houses and carried away children through the air. There was a full moon. The patio, idealized by anisette, floated at the bottom of an aquarium, and the cages covered with cloths looked like ghosts sleeping under the hot scent of new orange blossoms. The difficulty is in not quoting more, for there is something on every page that I’ve found myself underlining and pondering. 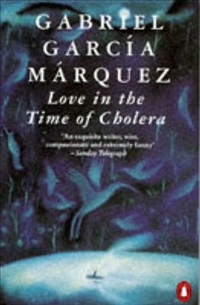 Love in the Time of Cholera is right up there with One Hundred Years of Solitude. There is so much to like about it, from the deliciously magical images, to the mirth, the darkness, the poetic themes, the many faces of love, and the sublime ending. I’m an idealist, so the notion that love can win over time is for me a comforting thought.